After completing our PADI Rescue Diving course at Neptune Diving Adventure, Moalboal, it was a perfect time to complete our 100 dives in preparation for our PADI Dive Master course. During these courses and trainings, it will be best to have your own set of gears - a comfortable mask with superior quality, a light weight buoyancy control device (BCD), a set of octopus and a regulator and perhaps a non so fancy dive computer. 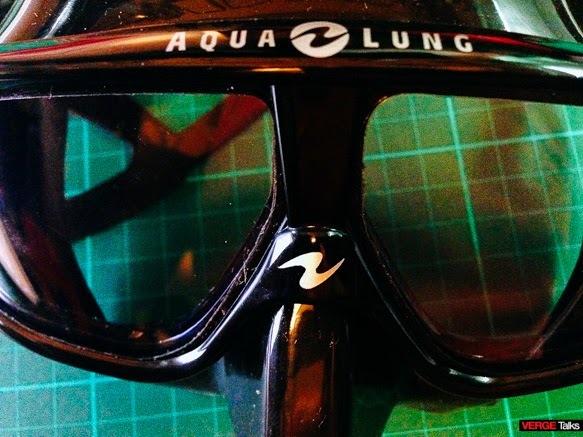 While looking around for a good mask, we came around with this Aqualung Sphera mask in Aquaventure Whitetip Dive Supply at Ramos Street, Cebu City. 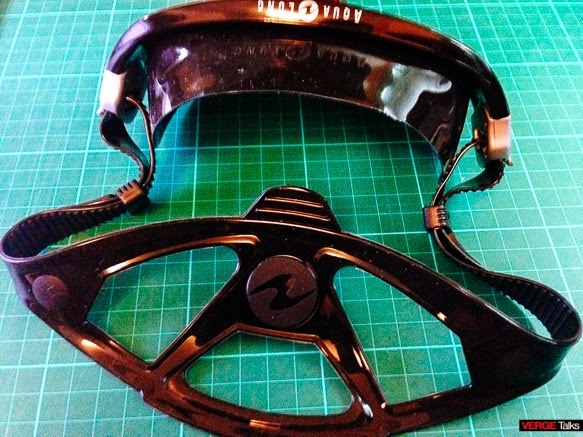 This masks allows nearly 180 degree panoramic underwater vision, and its shape, modelled on the swimmer's face, has a smooth curved surface, offering exceptionally low drag. The curved shape also makes it an extremely low-volume masks (best fit for Asian, meaning mubog ilong, enough to touch your short Asian nose). The lenses are made of Plexisol, an exclusive material that, compared to glass, has a superior transparency, one-tenth the weight, and twenty times the resilience. Plexisol has the same refractive index as water, so objects are nearly full size, avoiding the 1/3 magnification caused in other masks by the image passing through three differently refractive materials (water/glass/air). The Sphera's Plexisol, lenses are protected inside are protected inside with a special fog-retarding treatment. To avoid damaging the inside of the lens and to preserve the anti-fog treatment, do not spit on it, or rub the lens with your fingers. Do not use anti-fog liquids other than the Aqualung recommended one. The use of Aqua Sphere Fog Proof solution will prolong the life of the treatment. Warning. Do not touch or rub the inside of lenses to avoid damage. Avoid contact with solvents, detergents, alcohol, and anti-fog liquids different from the recommended one. 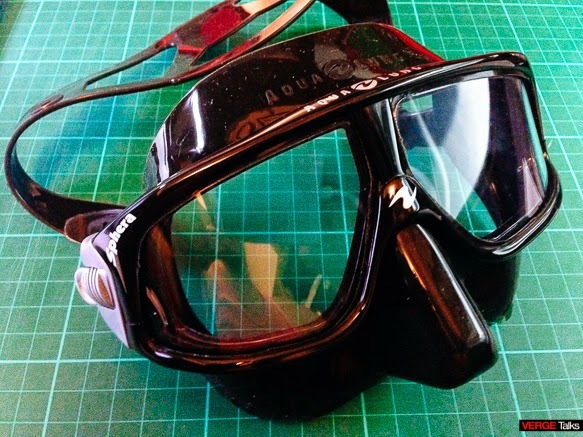 Do not dive face first into the water and avoid undue impact against the surface that could damage the mask structure causing injuries to the user. Do not look directly into the sun. 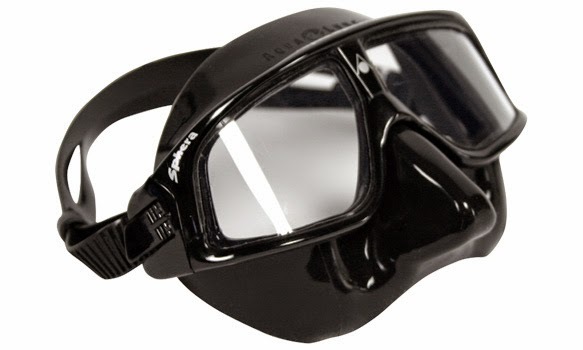 This product is only intended to protect the eyes from direct contact with water. Use in water only - not for Skydiving! Check every time that buckles and strap are working properly and for the absence of leaks. Do not use mask if showing defects, not working properly or causing skin irritations. Avoid, as far as possible, soaking the inside of the lenses. Recommended Use. 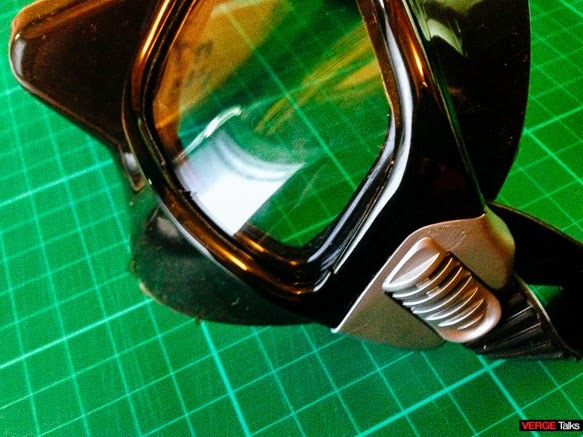 This Personal Protective Equipment (PPE) of Category 1 has been manufactured to protect the user eyes from the direct contact with water. It complies with the EEC Directive 89/686.